All-Weather, Next Generation Van tire from Nokian. This true 4-season tire carries the Severe Service winter rating, giving winter performance that exceeds international standards while allowing the use of a single tire all year long. 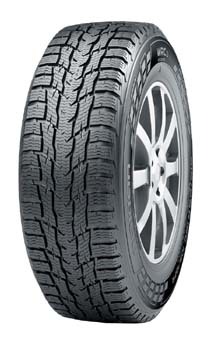 • The new Nokian WR C3 tackles the extremes of winter with its precise winter grip. This efficient roller is designed for versatile use on delivery vehicles and vans, and it drives safely, durably and lightly on the urban streets and country roads. In addition to the passenger car-like driving comfort and very low rolling resistance, this new product optimizes the safety-enhancing handling properties on icy, snowy and wet roads. The comprehensive size selection of the Nokian WR C3 offers versatility and high performance, and it is tailored for modern commercial vehicles.